including PC Maintenance and Repair. SkyNet Broadband Solutions is pleased to announce PC and Network Services geared towards your Residential, Home Office, and Small Business needs. 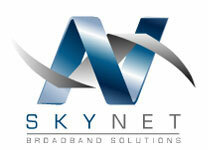 SkyNet was born in 2006, and has been providing quality service ever since. We bring the best of both worlds to you. Experience and knowledge, blended with real world solutions for you everyday problems. We offer customized solutions to suit your needs, and pride ourselves in our ability to simplify complex technology problems into fixable solutions for you. We even offer knowledge transfer so you will be better equipped to deal with it yourself in the future. We have the know how to tackle your toughest technology problems, to keep you, and your devices, operating at their best. And much more … all you have to do is ask. We are not a computer store, but we are as happy to get you what you need, as we are to recommend somewhere you can go to get what you need on your own. There is no commission, no pressure, and no upsell. What you get in an honest opinion and recommendation. Everything else, including components, repairs, parts, and structured cable installation, is quoted separately, and only as needed, and as agreed upon by you and our technician.